Thank you all so much for responding so enthusiastically to #sewtogetherforsummer – it’s been absolutely fantastic to see so many of you already choosing your fabrics and patterns! 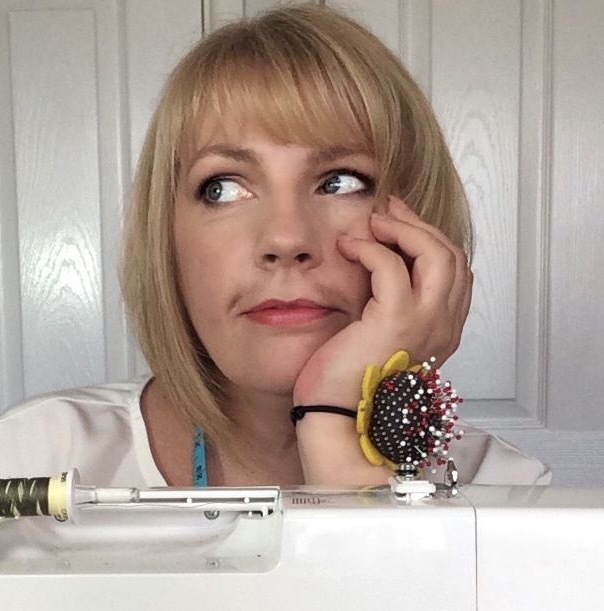 If you’re looking for ideas you can check out the #sewtogetherforsummer Instagram hashtag page to see what others are planning or read Helen’s Closet ‘Indie Darling’ Shirtdress blog post for some great inspiration! These delightful pastel imitation French Fancies pattern weights are gorgeously presented; a box of 8 pattern weights, each weighing 30g, arrive in a beautifully presented box in removable paper cupcake cases. Just don’t break your teeth trying to eat them! From the largest supplier of fabric, knitting, haberdashery and craft products in the UK, a specially curated selection of fabrics, all perfect weights and prints for summer with enough yardage/meterage in each to make yourself lots more shirtdresses if you want to! How totally amazing is that! Megan Nielsen are offering a great discount of 20% off the Darling Ranges Shirtdress at checkout with the code : SEWTOGETHER They are also gifting any one of their patterns (PDF version) to one lucky recipient. How about the fabulous looking Flint Trousers? With their unique crossover closure at the side seam, they can be made as either shorts or trousers. I’ve got my eye on this one too! Hayley is giving one of her Medium sized monthly postal subscription boxes worth £35. Full of themed fabrics and notions; there is 2.5m worth of fabric plus four fat quarters together with assorted haberdashery. Open the box and be inspired by the surprise theme! Jules is offering two of her beautifully crafted and easy to follow patterns (paper if you’re in the UK or PDF if overseas) – each of her patterns are named after a Shakespearean heroine – they are based in Stratford-upon-Avon after all! Choices include the Helena Dress, the Julia Pocket Top, the Portia Trousers and the Imogen Top. Choose your patterns and become the heroine of your sewing room! A beautifully designed spiral bound sewing journal & planner, designed for you to record up to 25 projects; contains a section for you to plan and sketch out future Makes as well. A premium retailer with a huge selection of fabrics shipping to destinations both in the UK and around the world with free UK delivery as standard. Spend your voucher on any fabric of your choice! Grace is offering a £30 gift voucher to spend on anything you like in store! With so many gorgeous goodies available one lucky giftee may be some time choosing! Wendy is gifting two patterns from her collection. The Fulwood Dress is a loose fitting pull on shift dress with no fastenings, making it suitable for beginners and the Tapton Skirt is a comfy fold over waist skirt, designed to be flattering and super comfy as well as a quick sew. Available in paper format in the UK or as a PDF for an overseas recipient. Don’t we all love the Blackwood! Helen’s latest pattern release, the Blackwood Cardigan is designed for practical layering with its close fit at front, neck and shoulder so that it can be worn open under jackets or over tank tops. In my estimation, this is an immediate classic! Helen is also hosting a sewalong for the Blackwood. I’m quite sure Sew Over It’s range of sewing patterns need no introduction! One of our lucky giftees can choose whichever pattern they like; perhaps something from their Vintage or Ultimate collections? And if you haven’t already got their Shirtdress in your collection now would be a great opportunity to snap it up! I’m hoping to get their Alex Shirtdress (from the City Break : Capsule Wardrobe e-book) to my sewing table. From their range of unique and simple sewing patterns, Sew House Seven are gifting to TWO lucky recipients! 2 PDFs and 2 paper patterns are available! If you’ve already got the phenomenally popular Toaster, how about their Nehalem Pant & Skirt pattern, the Mississippi Avenue Dress & Top or the Alberta Street Pencil Skirt? This online fabric store and haberdashery offer a range of gorgeous fabrics including Atelier Brunette and Art Gallery Fabrics, lingerie fabrics, patterns and kits. A £30 voucher is up for grabs to spend on anything you like! Fit the included base pattern and then use the collars, neck placket and sleeve variations to make a multitude of different style tunics from simple and modest to daring and chic! The lovely family from Suzy’s local shop in Córdoba, Spain are offering a dress length of fabric. Suzy has asked her Instagram friends to decide between 6 – I think the floral No 6 is in the lead at the moment! The lovely Sheona has just opened a new online fabric boutique and haberdashery and is offering one lucky recipient a £30 voucher (plus free P&P) to spend on anything in store! Sewing Buttonholes : Tips n Tricks!